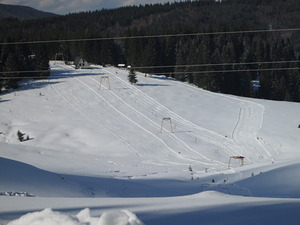 Izvoare is a tiny ski area, located 32km from Baia Mare at the foot of the Gutii Mountains, in the Orientali Carpathians. There are 3 trails at Izvoare and a vertical drop of 87 mtrs. Izvoare has 3 lifts but we do not have any information about cross country skiing here. Buď první kdo napíše hodnocení!